TWICE AS GOOD… | Jots from a Small Apt. In the beginning there was the Old Saxon word twio which was the Old English form of [and compared to] Old Frisian; which was the extension of the combining form of twi; which in Middle English formed twie, or twies; which currently forms The Oxford New Desk Dictionary (Third Edition/2009) form of twice. Originally, my thinking was this would be easier to explain than I’m [actually] finding it to be. 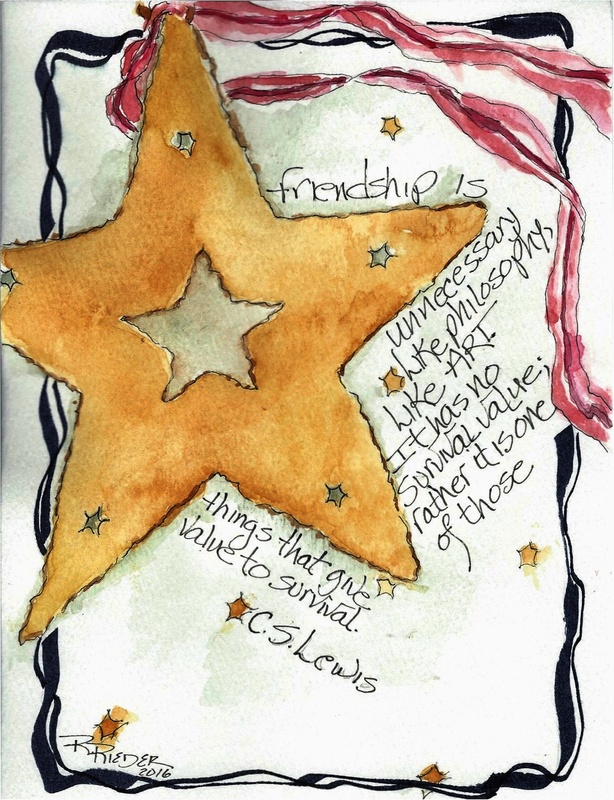 I’m attempting to find a sequitur between twice as good and valued friendships…without the appearance of comparing my personal and special friendships to those of My Reader. That particular sequitur continues to be a non. I’m fairly certain, however, that what My Reader and I do have in common are The Few, The Specials, The Keepers, The Valued. Those Some Ones who make a decided difference in our lives. Those extraordinary people who make us better…or show us how to be better. The profound bravery and courage of my Ones make me want to sit straighter and stand taller. Most likely My Reader and I are extremely fortunate to have Some Ones whose shadows fall upon and envelop us. The Ones who make the difference. Who are the difference. Wonderful R. Captured my heart…..best regards. J. That is a great way to look at it. You are one of those special friends! A toast to you for the tribute to the many good … and cheers to the serendipitous thoughts behind our recent posts! Yes … 1 good + 1 good = Twice as Good. Cheers to Wild Thing and tango. What a lovely tribute to us! Thank you. It really is amazing to see some of the same loyal folks taking time out of their busy lives to let us know we aren’t typing into a void! Doesn’t it just make you smile? Yes. Thought so! Yes…and YOU make me smile! My thoughts exactly, only more eloquent. I find many parallels, “twices” we might say, between our world of reality and virtuality. For instance, we visit in reality our a favorite watering-hole monthly. In walk several real friends, whom we quickly distinguish from various unfamiliar people at tables and the bar. In walk several occasion acquaintances, whom we greet, but do not pursue further than pleasantries. In a parallel fashion, I publish a post, then see who walks into the watering-hole of Likes and Comments. Yes, there are frequent strangers who stop but once to greet me with unclear motivation (usually, stop by and add traffic to my blog). Yes, there are occasional visitors. And, then there are those familiar names and aviators whom I enjoy spending some time with. I try to be polite with all. But, when time is short, I can leave many to just a smile and wave, as I head off for some virtual companionship with the friends who bring value to survival. So true, Oscar. And…my point exactly. We never know, I mean never really know, if our own occupied space is making a difference to the space of another. I’m more of a “teller”, The Ones should know, and my declarative to Them as in…”I told you so” should should have resonance. Could not agree more with you, if I only knew what I was agreeing to when I jumped in all those decades ago. And I float midstream on a leaf like Farley Mowat dead. There’s a huge difference between you and The Farley….and floating midstream? A good sign. Isn’t it twice as good to have a valued friendship — as to have no friends at all? Always a question, Hugh….well, I’ve got one (or two) for you: remember that historically famous axiom “Isn’t a bird in the bowl worth three in the bush?” And…your final answer would be? Thanks for that, Charlie….I hadn’t thought about those yet to come. Yes…I’ll have some of that! Thank goodness for that, Carrie. For some reason our detailed correspondence, all those numbered pages of comments, didn’t show up here. Probably just as well…our heads were spinning in that numbered vortex of our own making!! Brain starting to fizz off in various directions: a problem shared is a problem halved…you can cut something in two, but it’s the same as cutting it in half…two heads are better than one (specially on a boat)…the whole is greater than the sum of its parts…and I’m not remotely a mathematician. I just LOVE the English language too – as obviously you do Raye. Thanks! Dahlink! I am so glad I decided to come back to this post. I didn’t get your response because it was not in reply to my comment. Oh you fabulous woman. You know where you stand in my world.